London Calling: Shaken Not Stirred? In advance of the latest James Bond movie the debate re-ignites on the perfect Martini. 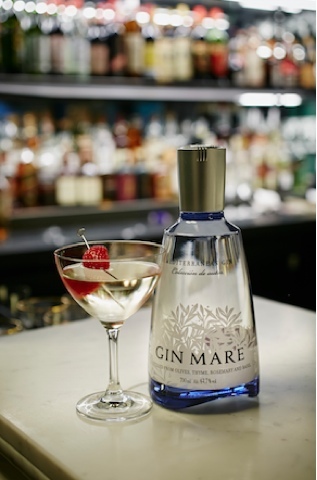 Gin Mare got in touch with me to share some interesting information on the perfect recipe for Bond's iconic cocktail. Mixologist Stuart Bale from Strangehill shared his findings to make the perfect martini. The perfect martini should actually be stirred (not shaken), made with gin (not vodka) and ideally (probably depending on the gin used) garnished with a strawberry (not an olive). Olives were used in drinks to help release flavours but using a small amount of salt works better, a garnish of fruit helps release the botanicals in the gin.